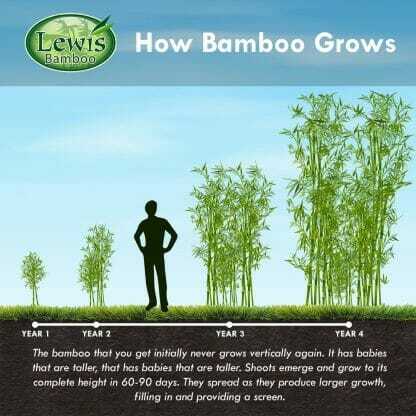 Phyllostachys Viridis ‘Pigskin’ bamboo is a tall timber bamboo for screening or specimen plant. Has good wood quality with minute dimpling that can be felt with sensitive fingers. This bamboo is very drought tolerant and sizes up quickly to a large diameter. Order within 20 hours 30 mins and your order will ship Tomorrow! 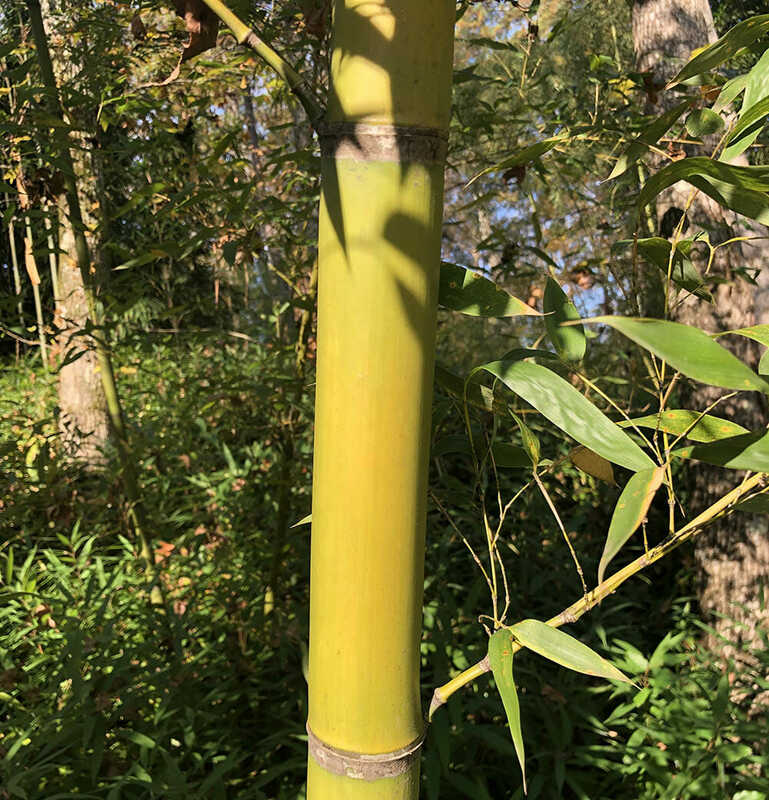 Phyllostachys Viridis ‘Pigskin’ bamboo is from China. 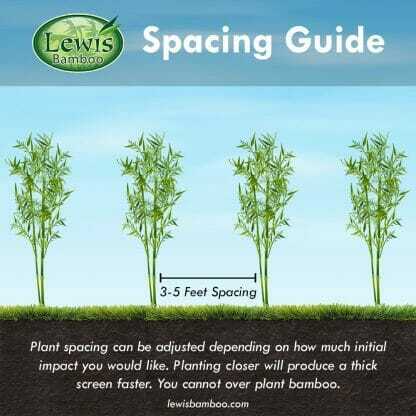 Great bamboo for a very tall privacy screen. New canes are a pale green with a white powder ring beneath each nodal ring which it will keep during the first couple of years. It adapts to heavy clay based soil and sizes up very quickly compared to other timber bamboo. The fastest species to reach three inch diameter canes that we grow here in Alabama. New shoots are edible and without bitterness in the raw state. In full sun, the foliage turns golden in mid to late summer making it very beautiful. It has the nickname of “”Pigskin”” because of minute dimpling effect that can be felt with sensitive fingers. ‘Pigskin‘ bamboo looks like the skin of a football under a magnifying glass. Very drought hardy and reported to be doing great in Austin, Texas with excessive heat. It is just getting established in Nashville, Indiana at this time, but growth looks good so far but has been top killed during its first three years.